At Paulk Landscaping, we offer a wide range of services, all at an affordable price and a commitment to our customers that just can’t be beat. 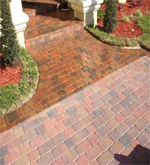 Give us a call and let us make that paver patio, walkway or drive way look brand new again. Pavers after about 5-years acquire quite a bit of “gunk” that hides the look you had after the installation. We can clean and seal your pavers with an environmentally friendly product that will not harm you, your plants or your pets. Have that BRAND NEW LOOK on your investment for years to come! 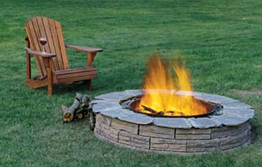 Get a Stone Fire Pit, valued at $875, for just $699! Don’t miss this great opportunity. For a limited time only. Smart Water Irrigation System Audit - $39.95 - Guaranteed to save 40% on your next water bill! Don’t forget to get your irrigation inspected before the summer heat hits. Our irrigation specialist will come out and inspect your system. Contact our office at (478) 934-4146 to set up an appointment. We will be ready and waiting on your call. Download this Coupon for additional savings on a new Water System Installation!